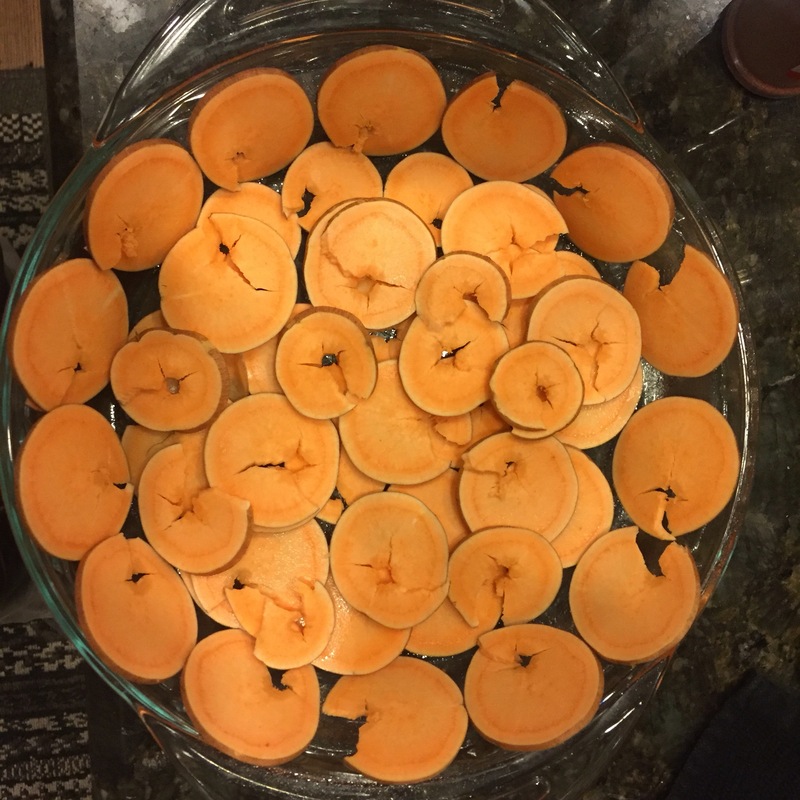 My husband found an idea online where someone had had made quiche crust using sweet potatoes and asked if we could try it. 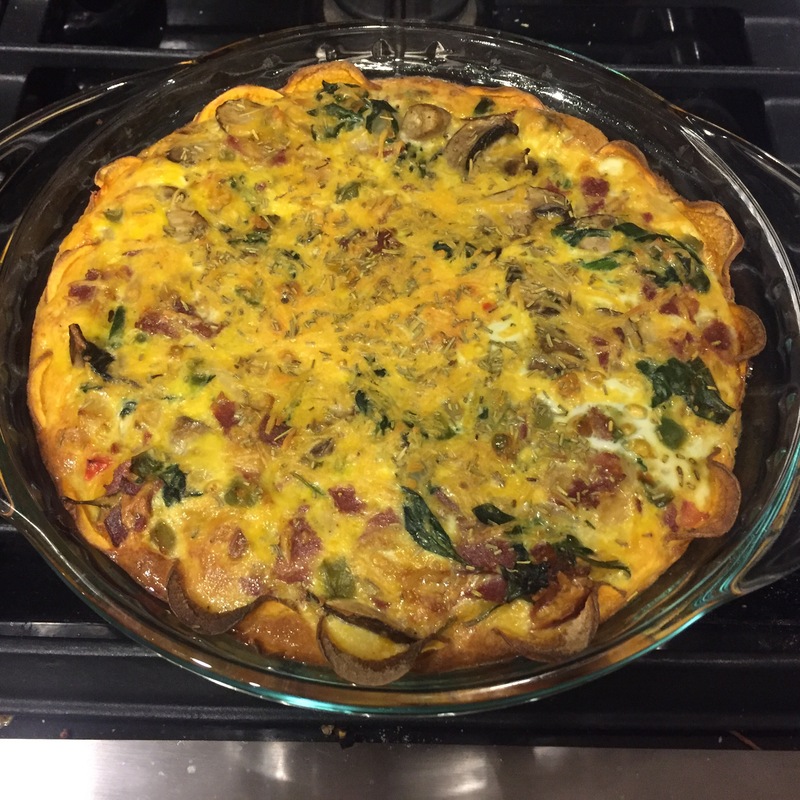 The result was super flavorful and definitely my new favorite way to make quiche! If you have any questions about 21 Day Fix, I would love to answer them. Feel free to contact me in the comments below. Check out my story here. 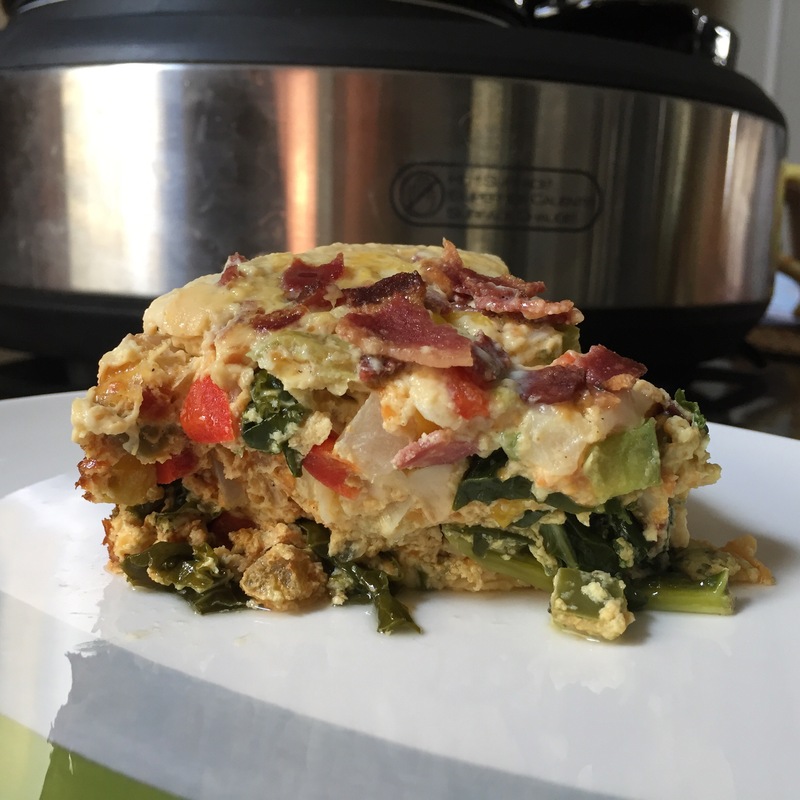 By far my most popular post on my blog has been Bacon and Cheese Crockpot Quiche. 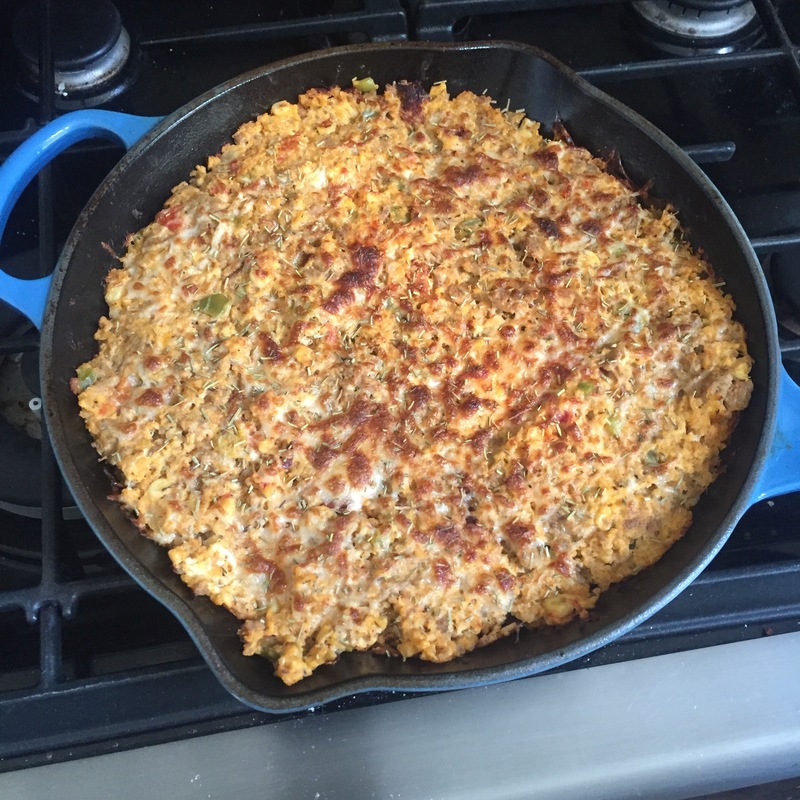 The meal is delicious and I decided to update the recipe so it was 21 Day Fix approved. The changes greatly reduced the calories and fat while maintaining the great flavor! Grease the crock pot with the butter. Turn the crock pot on low and leave the remaining butter in the bottom. It will melt while you are preparing the other ingredients. Cook the bacon. I cook the bacon in the microwave while I am preparing the other ingredients. Feel free to cook it any way you want. Cut the stems off of the spinach and tear the spinach into about 1/2 inch pieces. I tear the pieces into a measuring cup. Chop the onion, peppers, and mushrooms (or buy pre-chopped). Beat the eggs in a large bowl. Whisk in the yogurt, almond milk, cheese, pepper, spinach, onion, peppers, and mushrooms. Pour the mixture into the crock pot. Tear the bacon into approximately 1/2 inch pieces and top the mixture with bacon. Cover and cook on low for 5 to 6 hours or on high for 2.5 to 3 hours. The quiche is ready to eat when it is firm to the touch.